Every woman deserves advanced, compassionate gynecologic care provided in a comfortable and peaceful setting. That’s why so many women turn to Overland Park Regional Medical Center and our physician experts for general and specialized gyno care. Whether it’s your first visit to a gynecologist or ob-gyn for preventive care, or you’re seeking relief for symptoms of pain or discomfort, we listen, put you at ease — and put your care and comfort first. 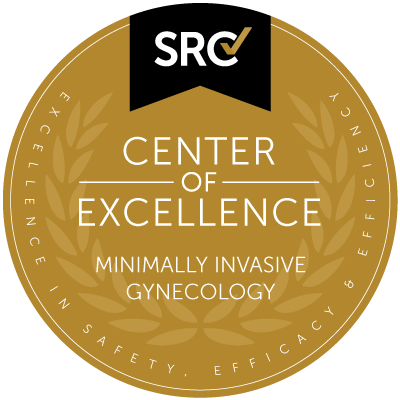 Our commitment to safe and effective care is reflected in our designation as an AAGL Center of Excellence for Minimally Invasive Gynecology. As many as one in four women age 18 or older have problems with bladder control or pelvic pain. You don’t have to live with the debilitating symptoms or sacrifice your quality of life. Overland Park Regional Medical Center offers advanced, highly effective treatment, from specialized physical therapy and exercise to robotic-assisted surgical repair. Whatever your needs, we’ll work with you to develop the best treatment or management plan, so you can get back to living your life. Find out more about gynecologic care, conditions and your options. The Office on Women’s Health - the federal Office on Women’s Health offers information on hundreds of topics, and also operates a helpline at 1-800-994-9662. Medline Plus Women’s Health - a service of the National Library of Medicine, Medline Plus’ Women’s Health page offers information on general gynecology, conditions, management and treatment, including pelvic laparoscopic surgery. The CDC’s Women’s Health - the Centers for Disease Control and Prevention offers women information on wellness, conditions such as cancer and osteoporosis, and gynecologic science and research. The National Cervical Cancer Coalition - this nonprofit organization is dedicated to helping women with cervical cancer or HPV (human papillomavirus, the virus that can lead to cervical cancer). The coalition offers a wide range of services, including an online community and one-on-one support. Overland Park Regional Medical Center’s DaVinci® Surgery page - find out more about our da Vinci® minimally invasive surgery program and team. The Da Vinci® Surgery for Gynecology - learn more about this technology that can result in smaller incisions and faster recovery times. The site also offers information on treatment for specific conditions and links to other resources. AAGL recognized the hospital and nine board-certified surgeons for commitment to advancing minimally invasive gynecology, which has revolutionized treatment for women.